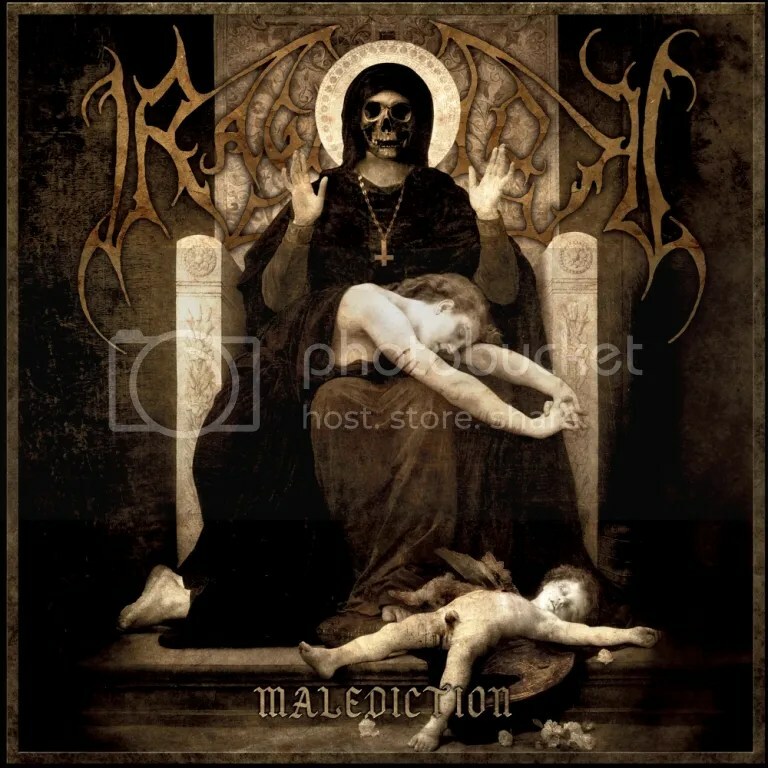 Details of the latest release from Norwegian Black Metallers RAGNAROK have been revealed today. 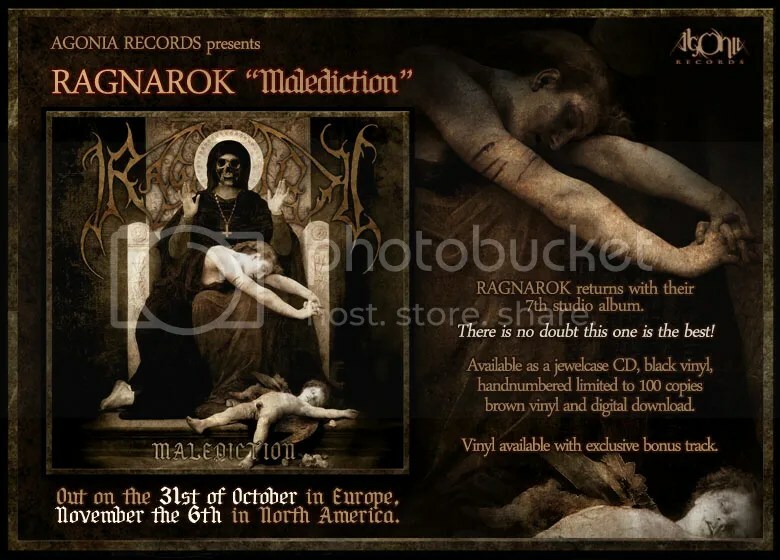 Titled “Malediction”, the album, which was recorded, mixed and mastered by Devo (MARDUK) at his Endarker Studios in Sweden and produced by RAGNAROK and Devo, will be the band’s seventh full-length and it is set for release on Agonia Records on the 30th October in Europe and the 6th November in North America. “Malediction” will be available in three formats – Jewel Case CD, Digital Download and Limited Edition Vinyl which will come with an exclusive bonus track, with the first 100 copies available on brown vinyl and hand numbered. Artwork for “Malediction” is by Perversor and All band photos shot and edited by Jon Løvstad.